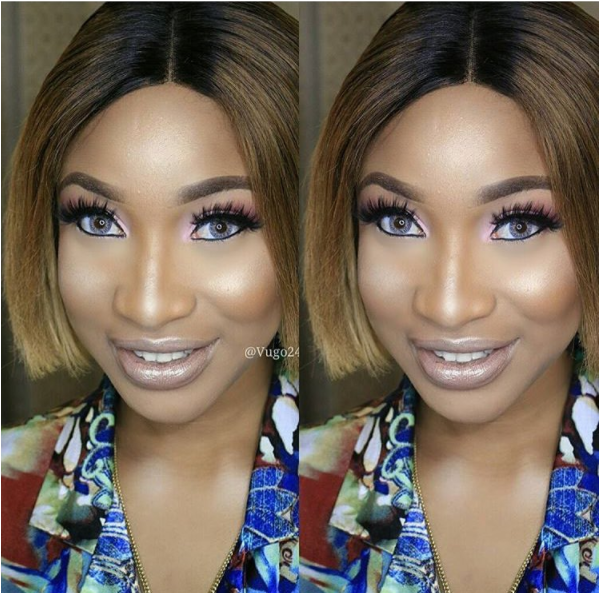 Tonto Dikeh was one of the belles at Toke Makinwa‘s 33rd birthday party. 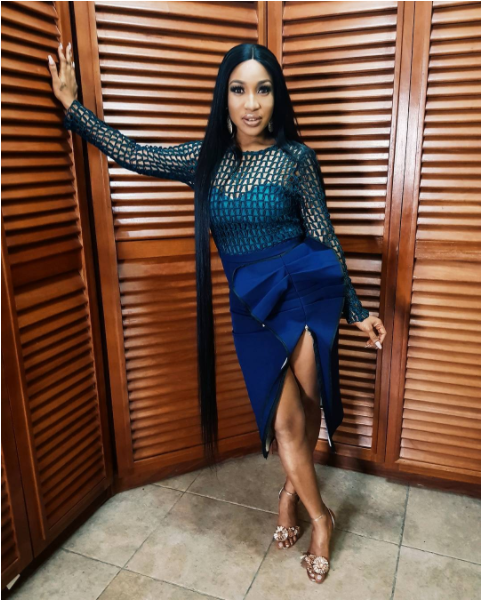 The actress opted for a thigh-high slit dress featuring different shades of blue made from see-through mesh and taffeta fabric. She completed the dress designed by Tolubally with bronze high heels.